Have you heard of NordVPN before? Why you choose NordVPN? Here you will get more information about NordVPN in this NordVPN review. And understand NordVPN is fast, safe and powerful VPN service. Headquartered in Panama which screams freedom from NSA snooping, NordVPN is one of the most powerful and popular VPN providers in the world and it offers super cheap pricing. And it serves one of the most important purposes that people use a VPN for. Well, on the following content we will point out several reasons why we recommend using NordVPN. You’re now taking online privacy and security more seriously and looking for a certified and reliable VPN provider to protect and encrypt your internet traffic online? Here you’re strongly recommended to use NordVPN service, as it implement more technology like Double VPN, Onion Over, VPN DNS leak protection and automatic Kill Switch to keep customers more private and anonymous while surfing on the internet. NordVPN provides 5209 global servers in 57 countries, which is a huge network and you can experience streaming service with a super-fast speed without throttling. Usually when you’re browsing on the internet, you actually are monitored by the Internet service provider, which seems someone constantly looking over your shoulder. But if you use NordVPN, it will offers a private path through the Internet, all your traffic is protected every step of the way using military-grade encryption that even a supercomputer can’t crack. with NordVPN, your online activity is truly private, just it should be. Also the top priority of NordVPN is their customer data security. Operating under the jurisdiction of Panama allows NordVPN to guarantee no logs policy, which means that your activities while using the privacy solutions created by NordVPN.com are not monitored, recorded, logged, stored or passed to any third party. Normally we like to make payment to purchase goods and products on the internet with online payment methods like credit card, debit card, paypal and other secure paymentwall. If you sign up with NordVPN service, you check your account balance, shop online and use social media at public hotspots with NordVPN’s secure and reliable VPN service. Whatever you do on the Internet, NordVPN encryption shields you from anyone accessing your online data – be it cyber criminals, snoopers or aspiring teenage hackers. Besides, almost online users would be censored and throttled by the Internet service provider, which feels like running into a brick wall on every street. Just hop on NordVPN and enjoy global connectivity along with secure access to social networks, messaging apps, news platforms and media content. With NordVPN, experience true online freedom with no censorship. All plans include all NordVPN apps, 30-day money-back guarantee, 24/7 customer support and high-speed unlimited bandwidth. 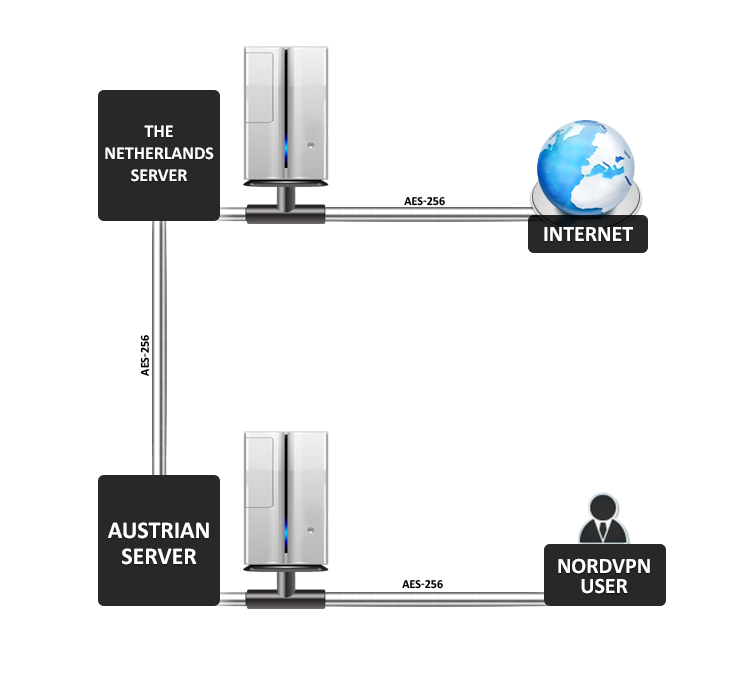 Whatever plan you choose, you can benefit all such features and functions provided by NordVPN: access over 5209 servers worldwide; no logs policy; connect 6 devices at the same time; ultra-fast servers for video streaming; onion Over VPN and double encryption. Payment methods: Paypal, Credit Card, Bitcoin, Alipay, UnionPay, WebMoney, Yandex and SOFORT and more are all accepted by NordVPN. If you want to make payment anonymously, Bitcoin may be your best choice if you have Bitcoin. 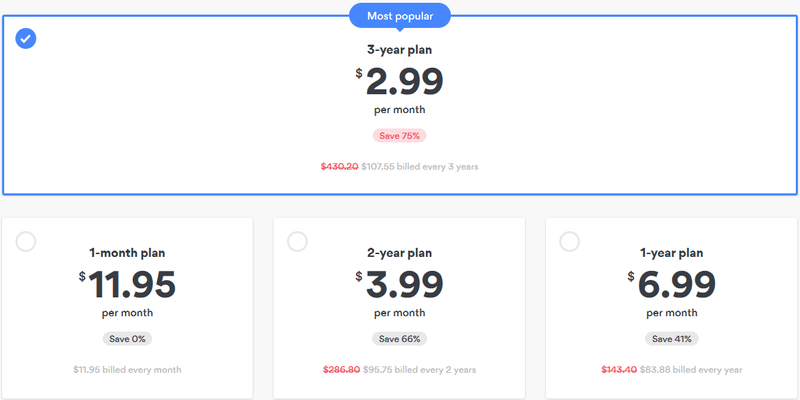 Right now, NordVPN is offering exclusive special deal for 3-year plan, which is now 75% discount off. You now bill ONLY $107.55 every 3 years, which lowers down to $2.99/month. The original cost for 3 years is $430.20, so it actually saves up to 75%. This special deal is the best offer provided by NordVPN and it is only for a limited time! You have no risk to sign up with this special deal as it has 30-day money-back guarantee! If you are not happy with the service, you can get a full refund within 30 days. NOTE: 75% discount is only for a limited time! Don’t miss out on it! The second reasonable and affordable option is the 2-year deal. It lowers down to $3.99/month if you bill $95.75 every 2 years for one time. NordVPN’s 2-year deal is also a good alternative choice if you don’t want to contract with service for 3 years. 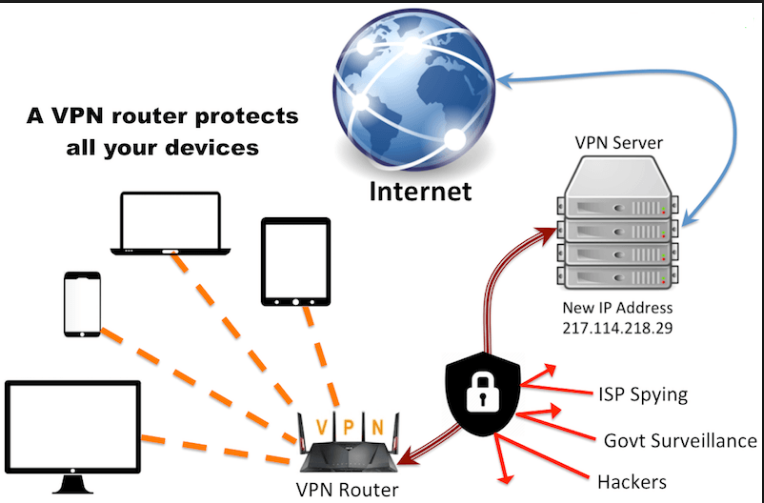 A Virtual Private Network (VPN) redirects your connection to the Internet via a remote server run by a VPN provider. This way, the VPN server becomes a secure launching pad for you before you access various websites. All the network traffic between your device and the VPN server is directed through a secure virtual tunnel. Besides, all of the data sent and received is encrypted. Best of all, your device appears to have the IP address of the VPN server, protecting your true identity. As far as websites are concerned, you’re browsing from the server’s geographical location, not your computer’s location. ♦ Protection against cyber criminals when using low-security networks, such as a public WiFi hotspot. 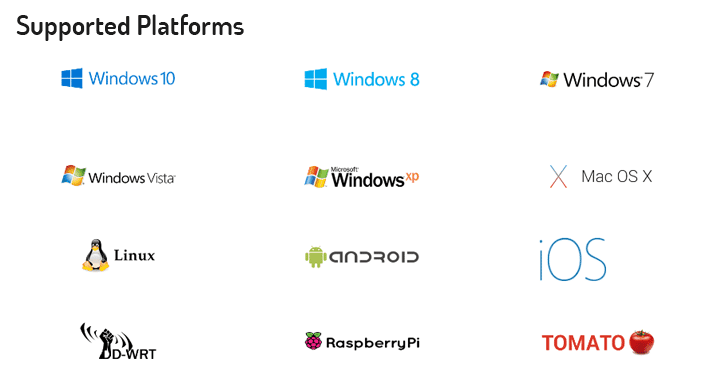 ♦ Enhanced privacy achieved by hiding user’s online activities from their Internet Service Provider (ISP). This way, the ISP cannot pass user’s private information to third parties, such as advertisers or government. ♦ Secure and uninterrupted streaming experience with no bandwidth throttling or buffering. ♦ Bypassing Internet censorship set up by a school, workplace or ISPs. ♦ Using P2P sharing services safely. Usually, when you connect to the Internet, you start by connecting to your ISP, which then redirects you to any websites or applications that you wish to visit. All your Internet traffic can be viewed by your ISP as it passes through their servers. If you have VPN enabled, you first connect to a server run by your VPN provider through an encrypted connection, which is also called a VPN tunnel. All data traveling between your device and the VPN server is encrypted so that only you and the server can see it. Not Have a NordVPN Account Yet? Get it Right Now to Experience Overall Features of NordVPN! NordVPN strictly keeps no logs of your activity online. That means they do not track the time or duration of any online session, and neither keep logs of IP addresses or servers used, websites visited or files downloaded. In other words, none of your private and secure data is logged and gathered at any time. As a result, they are not able to provide any details about your behavior online, even if you request it yourself. NordVPN is based away from the EU and US jurisdiction and is not required to collect your personal data and information – it means nothing is recorded, monitored, stored, logged or passed to third parties. In addition to the more conventional payment methods, such as credit cards or Paypal, you can buy the NordVPN services using alternative payment options. With NordVPN none of your private data, online activity and browsing history is being monitored, gathered or exposed and intercepted by third parties. NordVPN offers a number of unique features, such as double data encryption. We are also extremely privacy-focused, keeping no logs of our users’ online activity and requiring no company details to purchase the service. We offer about 5200+ servers all around the world, which deliver consistent speeds wherever your company is located. Complete privacy with double VPNDouble VPN, also known as a process of chaining VPN servers, is a technology solution that allows hiding your online activity behind several servers via a VPN tunnel. As a matter of fact, the working principle is rather simple: you connect to the first VPN server, which in turn redirects all the traffic to another server, from which the online traffic reaches the final destination.In general, double encryption may not be necessary if you only want a secure access to censored content, streaming websites or specific media platforms. However, the advanced VPN encryption feature can be extremely useful and even necessary when a high level of online security and privacy is required. That is especially relevant to all the journalists, political activists and bloggers working and living in countries with authoritarian governments along with a high level of Internet censorship and surveillance.This way, the connection goes through two separate servers in different locations: the external IP address is changed and the traffic is encrypted once, and then it gets re-encrypted in the second server in another location. Want to Experience Double VPN Encryption? Get Started Now! For maximum online security and privacy, combine NordVPN with the Onion network. The Onion network and a VPN service are both used for private browsing experience. While they share some similarities, the main difference is that the Onion browser is designed for anonymity but routes only HTTP traffic. Using it together with VPN adds an extra layer of encryption to ensure top-level privacy. The Onion Router (Tor) is a free network of volunteer-operated servers, which randomly sends and encrypts your online traffic across various exit nodes in separate locations. When your Internet traffic enters Tor network, it will go through layers of encryption at every point of connection, making it difficult to identify from where the traffic has originated and where it has exited. That means the entry node will see your real IP address, but not the final destination on the web, while the exit node will know the final destination, but not your IP address. 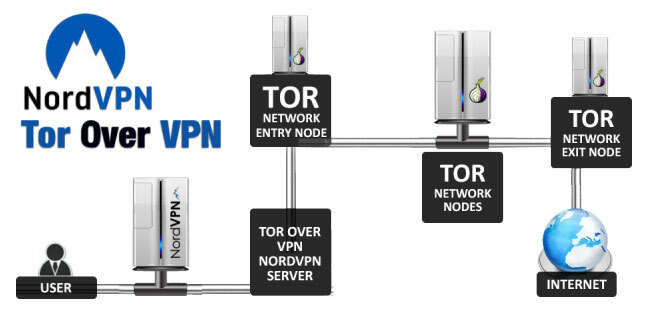 Therefore, combining the anonymizing powers of the Onion Router and the extensive benefits of the NordVPN service, you can achieve the maximum online security and privacy while browsing the web. NordVPN have adopted a Kill Switch technology, which automatically stops either selected programs or the whole device from accessing the web once a VPN connection drops. In case your VPN connection drops, NordVPN Kill Switch will automatically block your device or terminate certain programs from accessing the Internet outside the secure VPN tunnel. Get NordVPN Equals to 360° Keep Private and Secure Online! Get it Now with 75% Off! NordVPN is designed for business purpose and the best choice for office staff, trade team and corporation. NordVPN for business offers a great opportunity to secure a special pricing when buying a number of accounts for your business needs. You get the same security and reliability of a NordVPN account but as a business account holder, you get a dedicated account manager who can assist you with service inquiries. To completely and securely avoid data security risks, NordVPN business is your top option. NordVPN keeps your company data safe with military-grade encryption and unlock the web potential with a modern security service. To keep your business data and information secure and private, it uses the high and unique technology like DNS Leak Protection, Double VPN Encryption and Onion Over NordVPN etc to double even more times to encrypt and protect your business data and company’s confidential. NordVPN applies military-grade encryption to all the data you and your employees send or receive over the Internet. That includes sensitive customer data and any other confidential information. Protect yourself and your employees from the risk of using unsecured public hotspots. Whether you connect from an airport or a local Starbucks, NordVPN ensures that your online data is safe from cyber threats. Using a VPN gives you an extra security layer over your financial transactions. Every online payment you make is protected with 256-bit encryption combined with the toughest security protocols on the market. Law and consulting companies, Advertising and media agencies, Journalists and bloggers, Remote workers and frequent travelers will be benefit more from a VPN for business. With NordVPN for business, you can safely share sensitive data with your clients and co-workers, make online financial transactions in full security, never again worry about using airport Wi-Fi hotspots, stay private in countries with high Internet surveillance, enjoy the Internet without censorship or bandwidth throttling. 75% OFF is Offering Now for a Limited Time! Get it to Protect Your Business Data! After finish reading this NordVPN review you must understand NordVPN is a trusted online security solution, used by over 1 million of Internet users worldwide. It offers military-grade encryption with advanced privacy solutions to ensure secure access to all your favorites online resources. It maintains a strict no-logs policy, which means your online activities, metadata, internet traffic, DNS query and browsing history will never be logged and collected by NordVPN. Customer’s privacy and security has been taken more seriously by NordVPN service. Moreover, NordVPN is based away from the EU and US jurisdiction and is not required to collect your personal data and information – it means nothing is recorded, monitored, stored, logged or passed to third parties. You can always trust NordVPN with your privacy. NordVPN offers more than 5209 servers in 57 countries with fast connection and unlimited bandwidth. You can enjoy global connectivity along with secure access to streaming websites, messaging apps or social media content without censorship. There is no data-loss riskwhen checking your bank account balance, shopping online and using social media on public Wi-Fi. With NordVPN, your online activity is truly private, as it should be. All your traffic is fully protected with military-grade encryption. 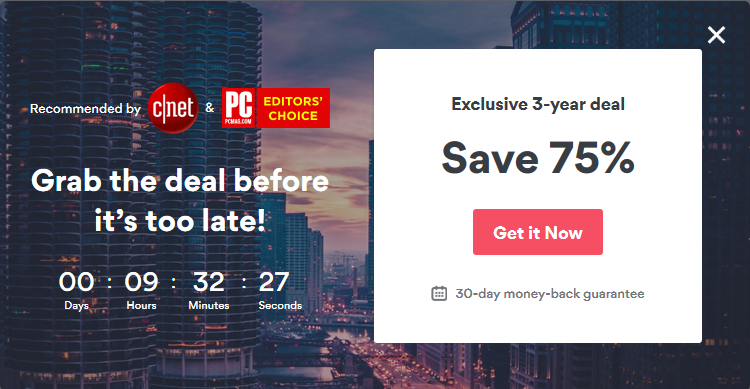 NOTE: 75% OFF NordVPN discount is Offering Now for a Limited Time! Don’t Miss Out On it! Get it Now!